We answer phone calls for small businesses, freeing them to focus on their work without sacrificing customer service. Small businesses often face a predicament when it comes to customer service: They depend on close relationships with their customers and can’t afford to deliver anything less than white glove service, but they’re also strapped for resources and need to spend more time on the business instead of being buried under administrative work or distracted by phone calls. Live telephone answering services from Absent Answer help solve the small business customer service dilemma by providing friendly receptionists to answer calls 24 hours a day, 365 days a year. Our small business call center agents answer live in the name of your business and take calls as though they were a receptionist in your office. Taking care of your customers is your top priority, and taking care of your inbound calls is ours. Why risk sending important calls to voicemail, wasting valuable capital on excess employees, or unnecessarily burdening your key staff when you can depend on a trusted team of small business call center experts? At Absent Answer, we have been answering small business calls for over 30 years, and our solutions are designed to meet the needs of your business while delivering an exceptional telephone experience to customers on your behalf. Provide 24/7 customer service coverage for a fraction of the cost. Our small business answering service takes calls around the clock. Whether you need call coverage after business hours, during busy periods, or on demand, our call center agents will be available and ready to assist. Your customers will never have to wait to reach someone again. Have you ever called a business and had trouble dealing with their automated system? Or worse, needed to speak with someone but been forced to leave a voicemail? These situations can have a serious impact on customer satisfaction. So can distracting your employees with phone calls and taking them away from servicing active customers. Absent Answer solves this dilemma by providing trained agents who answer every call live and deliver quality customer service on your behalf. Hiring and managing employees is expensive. Even when you know the importance of customer service, it can be hard to direct resources to customer service when there are so many other areas of the business that need attention. With our dedicated small business answering service, there are no employees to hire and no equipment to purchase or install. We provide the entire call center, handle training on your behalf, and provide handle your telephone answering for a fraction of what you’d spend managing the same operation in-house. Every small business is different and we pride ourselves in providing 100% personalized live answering services designed to fit your needs. We answer calls in the name of your business and follow scripting that’s designed specifically for the types of calls you commonly receive. Our customized answering services allow small businesses to mirror some of the same processes handled by employees in the office, giving customers the level of service they have come to expect. Having Absent Answer answer calls for your small business is easier than you think. It’s as simple as establishing your account instructions, training our team, and then forwarding your phone lines whenever you want our agents to answer calls on your behalf. You can turn your calls over to Absent Answer at the same time every evening when your office closes for the day, during holidays when the office is closed, during busy periods, or on demand. We’re there to answer whenever your business needs us. A caller dials your regular office phone number. This could be a customer calling to schedule an appointment, an employee calling in sick, a telemarketing call you’d rather avoid, or any other type of call that your office may receive. Instead of ringing your office line and going to voicemail, distracting busy employees, or sitting on hold while your office is busy handling other tasks, all calls made to your office are routed directly to our friendly call center agents, who immediately recognize that the call is for your business and greet the caller accordingly. When setup as an overflow solution, calls will only reach us when your regular office line is busy. There’s no one-size-fits-all approach to small business answering services, so our team is armed with your precise instructions and ready to handle each call per your expectations. We can patch important calls through to the appropriate party, turn away sales people, take a message for the office, or complete routine administrative tasks directly over the phone, such as providing general information or scheduling appointments. Small business answering services from Absent Answer are available for a fraction of what you would spend hiring a new employee. Because you only pay for the time we spend handling your calls, it’s possible to provide 24 hour customer service for less than a monthly cell phone bill. Our answering services may be affordable, but that doesn’t mean you have to settle for sub-par customer service. Every Absent Answer call center agent undergoes extensive customer service training and can throw whatever your customers throw their way. With Absent Answer agents handling your calls, you can rest assured that your customers are in the hands of expert customer service representatives and that every call will be answered with care. In today’s 24/7, competitive marketplace, there aren’t many businesses that wouldn’t benefit from extended business hours and improved customer service. As a result, the applications of our small business answering services are almost endless. From solo consultants in need of a daytime virtual receptionist to a large IT company in need of tier 1 tech support coverage 24 hours a day, there are a multitude of business owners who rely on Absent Answer to support their call answering needs. Small Business Virtual Receptionist. Do you wish everyone who called your office was greeted by a warm, friendly voice? Do you wish you could hire a full-time receptionist without paying another salary? With Absent Answer, you can get the professional receptionist you’re looking for without hiring a new employee. Our small business virtual receptionists work offsite at our call center but greet every caller as if they were working in your office. Around-the-clock Customer Service. With Absent Answer, your business never has to close. Instead of leaving customers hanging until the next business day, our small business answering service can answer live 24 hours a day, giving you an around-the-clock customer support team and giving customers the ability to reach you day or night. Overflow Office Answering Service. Don’t leave customers hanging when your office experiences a spike in phone calls. Our Overflow answering service is a cost effective way to ensure you always have backup telephone coverage. When your phone lines are busy, excess calls overflow to our call center, where our agents answer on your behalf. Small Business Appointment Scheduling. Give your customers the flexibility of scheduling or rescheduling appointments at their convenience. Our small business appointment scheduling service can access web-based systems and manage appointment needs on your behalf. Each and every answering service account we take calls for is setup to serve the specific needs of the business and its staff, customers, vendors, and other stakeholders. We can custom tailor your account so that it delivers the precise mix of call coverage and messaging services that you need in order to maintain operations. Our small business call taking services can even be setup so that they’re dynamic and change based on the situation or time of day. Small Business Messaging Service. We enable you to improve customer service by ensuring there’s a live voice to take calls at all times. Our small business receptionists can take accurate, detailed messages and deliver them to the appropriate person at your company via text message, email, fax, page, or even a direct phone call made to the private number of their choosing. We can ensure the right calls result in messages and that every message is delivered per your instructions. Help Desk Support and Call Escalation. Even though your office is closed, customers may still encounter an urgent issue that requires immediate attention. Our on-call scheduling system allows small businesses to define the exact contact and contact procedures for their on-call personnel, which our agents follow whenever a call needs to be paged or patched through to the support technician on-call. Routine help desk requests can be handled by our agents, with only urgent issues or requests meeting specific criteria being escalated to the next tier of support. Automated Telephone Attendant. Many clients reduce their costs by 40% by using our specialized voicemail pre-screening service. Many businesses use our pre-screening service to inform customers of office hours or other information. The caller has the option of leaving a voicemail for the office or speaking with an agent in our call center. 24/7/365 telephone answering. Our small business call center never closes. Weekends, holidays, office hours, or during a disaster or power outage — whenever you need telephone coverage, our team is available and ready to take your calls.. Message taking and voicemail. We may be taking your calls, but you remain in complete control. You determine when calls are sent to voicemail, when a call should result in a message, and more. You can customize a telephone workflow that meets the needs of your operation. Call transfers and call routing. We can route important calls directly to your phone or transfer callers to the appropriate party within your organization. With our call handling service, you can ensure that each call ends up in the right place, every time. Call recording and reporting. All calls are recorded and time stamped, with detailed call reports made available so that you can track usage and maintain your records. On-call scheduling system. If your staff has rotating on-call coverage or specialized instructions based on the time or situation, our specialized On-Call Scheduling software will ensure the correct person is contacted every time. When changes are made, your receptionists are immediately updated so they may page the call to the correct person. Order entry and support. Sometimes customers need help or answers they can’t find on your website. Instead of potentially losing orders due to the lack of customer service, our agents can take your e-commerce calls and assist with making a purchase. Manage your account from anywhere. Our answering service software allows you to update on-call status, view directory information and send secure text messages. You can also let us know that you’ve received our messages with our ‘one button check-in’ feature. At Absent Answer, we’ve been answering calls for businesses since 1985. Each and every call, message, order and appointment gets handled accurately – 100% of the time. That kind of reliability allows you to focus on running your business while we worry about being your receptionist and handling important calls. The personal touch that your callers feel is the same personal attention you can expect every day. To your customers, we are a friendly, helpful extension of your team. To you and your staff, Absent Answer is an accurate and reliable virtual assistant who knows you and your business. We are your virtual assistants who never miss a call, take a day off, or call in sick. 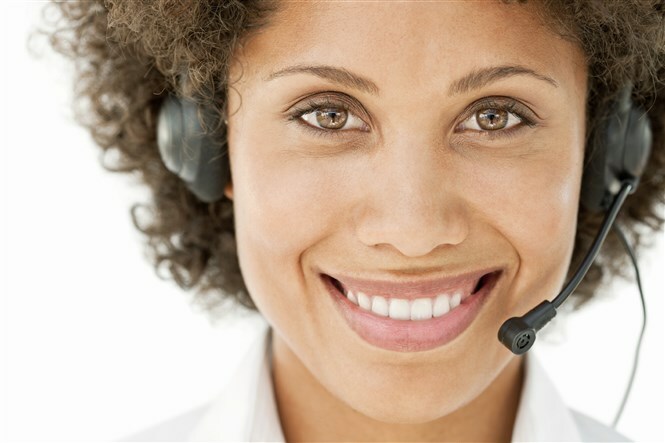 Why choose Absent Answer as your small business answering service? When we say we have the best personnel in the industry, we mean it. Our call center specialists have been with us an average of 8 years. The industry average is a mere 18 months. Some of our staff has been with us since the beginning. We only hire positive, outgoing people to assist your callers, so you can have peace of mind knowing your calls will be handled in the most courteous and professional manner. Our extensive training program ensures that all of our employees are prepared to handle the myriad of calls that may come their way while answering on your behalf. Absent Answer works closely with you to develop service benchmarks and create a consistent training program to ensure that all agents are fully trained to provide your callers with exceptional service. Our clients consistently rate the quality of our service as good/excellent 97% of the time. Our service quality is just one reason that successful entrepreneurs turn to Absent Answer to help them grow their business. Our call center has taken great care to make sure we have redundancy wherever possible in our operations. We realize that being available on a 24/7 basis for you requires us to have excellent up-time. All our agents work and live in the USA. There is no offshore outsourcing. Do you answer calls in the name of our business? Of course! Each call is answered in the name of your business and handled per your instructions. We work as an extension of your team and can handle calls as though we were sitting right in your office. How much do small business answering services cost? Small business answering service pricing is primarily based on minutes, meaning you pay for the time necessary to answer and handle your calls. Cost savings are delivered by eliminating the expense incurred paying for employee downtime and other distractions. With our answering service, your small business only pays for the call center support it needs, even though our agents are available and ready to take your calls at any time. We have affordable monthly plans starting under $75 a month. Learn more by viewing our online pricing guide or requesting a custom quote based on your needs. Does Absent Answer offer services nationwide? Yes, because of Absent Answer’s advanced technologies it doesn’t matter where your office is physically located. We take calls for businesses nationwide. Do my customers still call my office number after hours? Yes, your customers call the same published business number after hours. The only difference is that you forward that line to us when you’re unavailable, and the calls reach our answering service personnel instead. Ready for help answering your calls? Contact our account team today to discuss your telephone answering needs and learn more about our affordable pricing packages.